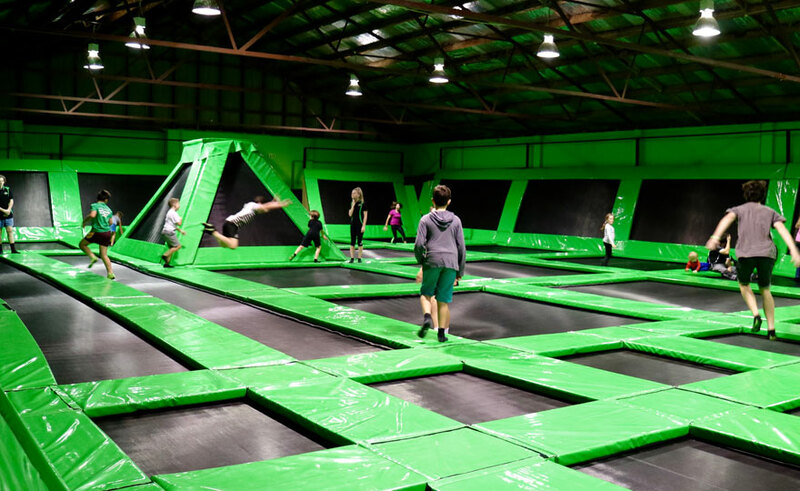 Flip Out Indoor Trampoline Arena Timaru is the perfect place for indoor entertainment. Parents can relax and unwind while the kids burn some extra energy. The arena features numerous flat mats, wall trampolines, a pyramid trampoline and two 15-metre tumble strips for “endless tricks”.